Vegan doesn’t mean you have to skip parfait. We’ve found a yogurt recently that makes me dance around the kitchen. Amande is made from cultured almond milk and is completely vegan, gluten-free and delicious. It comes in strawberry, coconut, cherry, blueberry and peach. I can’t decide which is my favorite. We combined it with Wyman’s frozen wild blueberries and Cascadian farms fruit and nut granola for a super easy tasty treat. I come from a family of blueberry addicts. I love blueberries and these are particularly flavorful. I eat them on my cereal almost every day. It didn’t last long and had the most delightful textures. 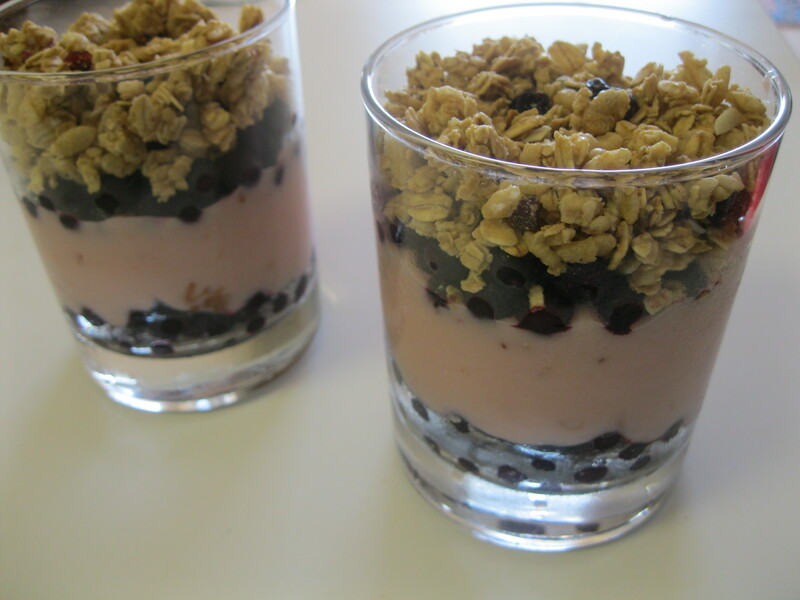 The frozen blueberries kept it cold and the crispy granola and smooth yogurt made the whole thing kinda decadent. 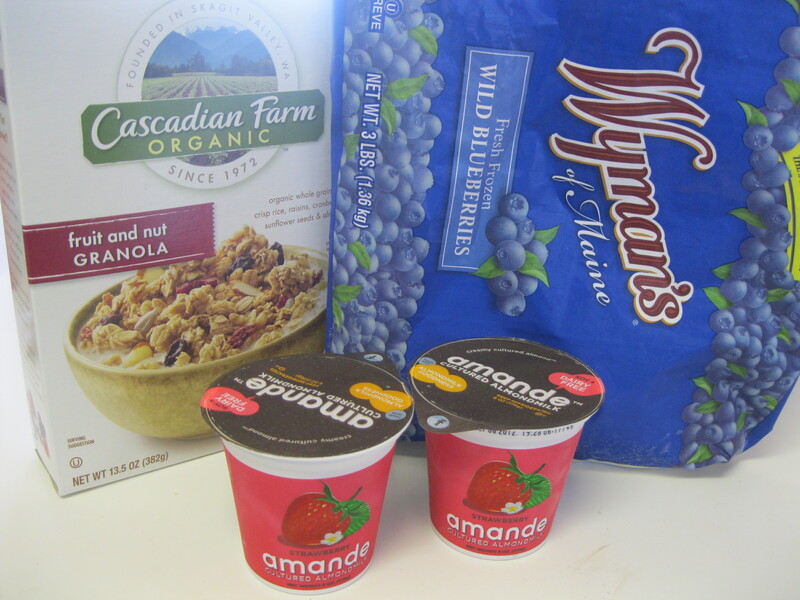 What do you do for your quick easy snack or breakfast? Must get my hands on this Amande stuff! Looks sooo good.